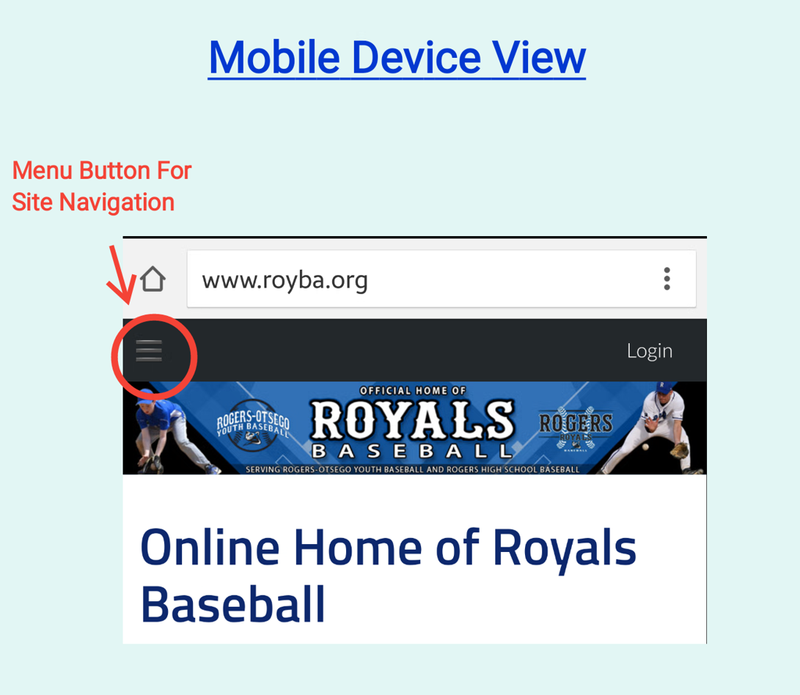 Our website, royba.org, is now easier to access and view using your mobile browser. You will be brought to the main page, and from there you can access our navigation menus from the top left of your browser (see image). These menus will mirror those found along the top of the page in your desktop browser.